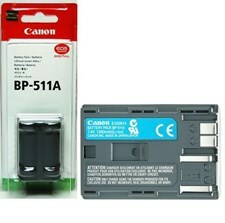 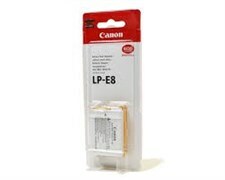 Product Description The Canon LP-E10 battery can be useful as a back-up or replacement for a broken or misplaced battery for the EOS Rebel T3 digital camera. 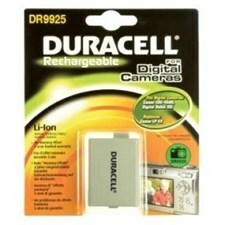 This allows you to continue taking pictures or recording video without having the interruption of a drained battery. 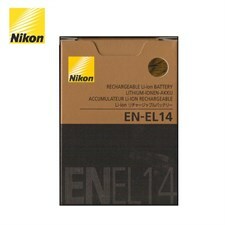 Don't miss another photo opportunity at any event. 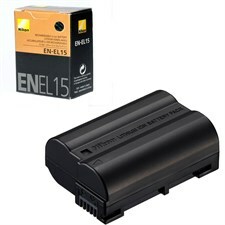 This Canon replacement battery is compatible with the EOS Rebel T3 digital camera, as well as similar models in the Rebel Series. 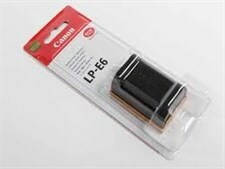 The high-capacity LP-E8 lithium ion battery pack is specifically designed for the Canon EOS Rebel T2i and Rebel T3i NOT compatible with previous Canon Rebel cameras (Including the T1i) 7.2v - 1120mAh - 8.1Wh (Li-ion) Dispose of by proper recycling. 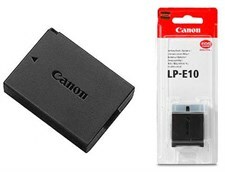 Chemistry Lithium-Ion Capacity 1030 mAh Output Voltage 7.4V Dimensions 1.5 x 2 x .5" (3.8 x 5 x 1.3cm) (approx) (WHD) Weight 3.5 oz (99g) Packaging Info Box Dimensions (LxWxH) 3.0 x 2.2 x 1.4"